VARcrypt will be powered by its very own token, VARcoin (VAR). 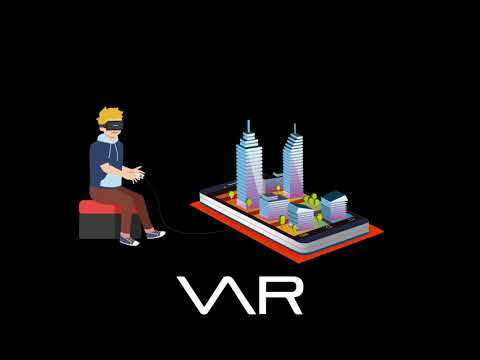 VARcoin will enable users to publish and view content on VARcrypt for global distribution of VR, AR, film, television, music, sports, print, video games, software, & real estate into a combined blockchain powered ecosystem that will deliver a powerful immersive experience. We believe that the future of the Internet will be about experiences. Immersive experiences bring people together, inspire new ways of thinking and when virtual reality, augmented reality and Blockchain technologies are combined into a new technological ecosystem we believe that technology will be the future of the internet. VARcrypt is creating a user focused interface that enables the global distribution, encryption, and monetization of content that is fair and transparent that simply does not exist currently. Each new media format to emerge has represented a step forward in immersion and presence. From immersive video to mixed reality, content is becoming indistinguishable from having real life experiences. Through Blockchain technology this content can now be completely encrypted to protect content creators and owners, monetized in a more transparent and efficient manner (especially when one is familiar with the difficulties faced by content creators and owners who have had to collect from major television networks and Hollywood Film Studios), and distributed globally. Content creators and owners no longer have to sell off content rights by territory but can go global immediately upon publishing their content on the VARcrypt Blockchain. Since 1974 when the TCP/IP Internet network protocol was designed it has evolved into a technology that allows any computer to communicate and connect to any other computer globally, the Blockchain protocol is repeating the same process all over again but in an exponentially more powerful way. Where TCP/IP is a communications protocol, the Blockchain is a value-exchange, encryption, distribution and monetization protocol. What we are passionate about is building an ecosystem unlike anything that has ever been build before - a decentralized, streaming and downloading, hardware-agnostic, and independent platform for Immersive Media including VR, AR and Mixed Reality (MR). All this is being built around a user friendly interface that will give the user Content Creation Tools (CCT) and the possibility of getting payed instantly in a transparent fashion. Simply put this is the future of the internet. Not a big team, no legal expert on board. Big dreams but the product is not clear.